Iran’s Supreme Leader Ayatollah Ali Khamenei said here Tuesday that Jerusalem is “definitely” the capital of Palestine. 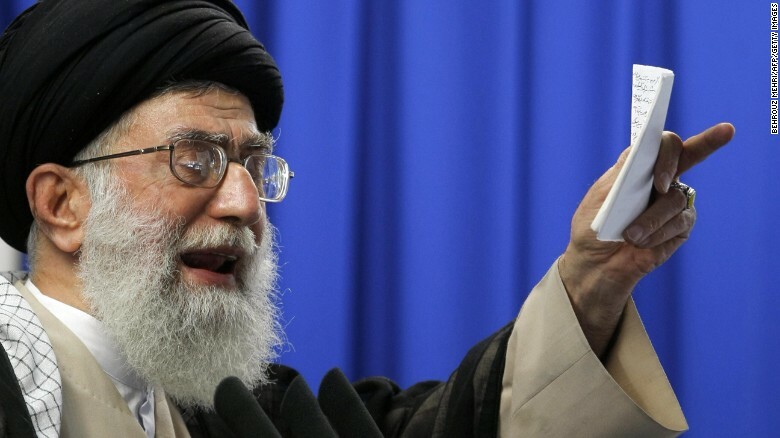 The U.S. move to call Al-Quds (Jerusalem) the capital of Israel will fail eventually and “they won’t be able to implement this (decision),” Khamenei said at the 13th session of the Parliamentary Union of the Organization of Islamic Cooperation in Iran’s capital Tehran. He said the governments who help the United States and Israel are “traitors to Islam and Muslims,” mentioning Saudi Arabia. He added that the cause of Palestine is the foremost issue of the Muslims. The cause of “Palestine is an important issue of Islamic world and should not be forgotten,” he was quoted as saying by semi-official ISNA news agency. The resistance against the Israeli occupation of the Palestinian territories has achieved advancements so far and “I believe that it will bear fruits,” he said. Khamenei also urged unity and solidarity among Islamic countries. Last December, U.S. President Donald Trump announced his recognition of Jerusalem as Israel’s capital, and instructed the State Department to begin the process of moving the U.S. embassy from Tel Aviv to the holy city. Jerusalem is situated in Western Asia hence there is no doubt it belongs to the people of Western Asian. This land is neither Jewish, Christian or Muslim land. It belongs to the local Asian people known today as Palestinians. The history of this land is that,time and again the Europeans have been invading this land and occupying it. The first time, as recent history tells us, the Europeans invaded and settled in this land 2100 years ago. The local Asian people endured terrorism at the hands of the Europeans invaders, very much as they do today. That ordeal of the local Asian people ended after they had endured European terrorism for nearly 393 years. Peace returned to this land as it can be seen returning in Vietnam due to absence of European trouble makers. The Europeans returned to this land about 900 years ago bringing trouble for the local Asian people. This time the Asian people endured trouble for nearly 188 years until the Europeans were thrown out of this land. Peace returned to this land with the expulsion of European trouble makers. The European trouble makers returned to this land about 100 years ago. So how long will they be here this time, is any body’s guess.